Wayne Rooney's England and Gareth Bale's Wales meet in Lens with their Euro 2016 ambitions on the line and fears that their followers could spoil the day. 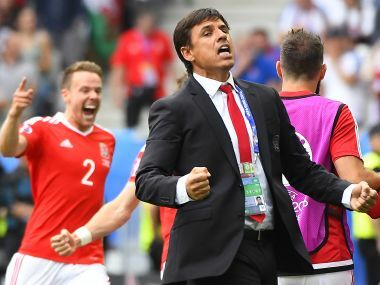 Wales manager Chris Coleman said his side would approach next week's crunch clash with England without fear after beating Slovakia 2-1 in their Euro 2016 opener. Wales' 2-1 win over Slovakia proves that the Welsh are not here to make up the numbers. Substitute Hal Robson-Kanu scored a joyously celebrated 81st-minute winner as Wales marked their major tournament return by edging Slovakia 2-1 in Saturday's Euro 2016 opener in Bordeaux.